A wonderful unexpected discovery while walking the dogs and exploring a new patch of ground. A delightful bonus of taking the time to look and breathe. My favourite wild foraged mushroom. In learning about wild foraged foods, it has been an adjustment to find that although there are many plants which are considered edible, that doesn't mean that you would want to eat them. Technically grass is edible. But why would you want to? Point made? So it is a gleeful moment when I find one of the wild culinary delights. A truly delicious treat. 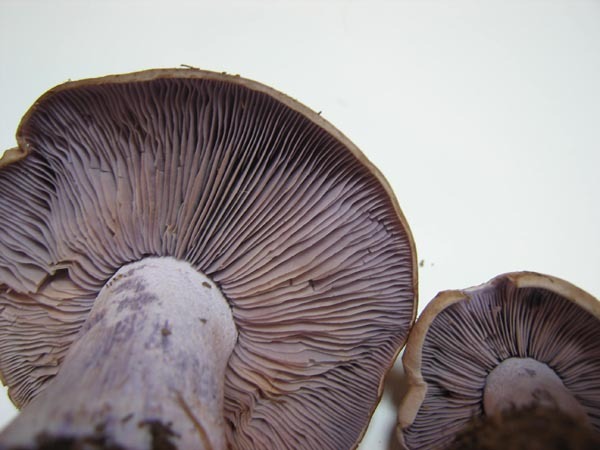 This little lilac lovely is my favourite wild mushroom of the ones I have tried so far. 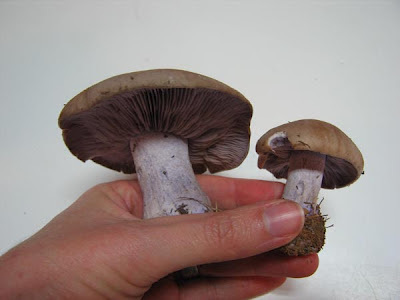 It's lepista nuda, the blewitt. Fried in a little butter and salt. The liquid they give out is a sublime and perfect cream of mushroom soup all on it's own. 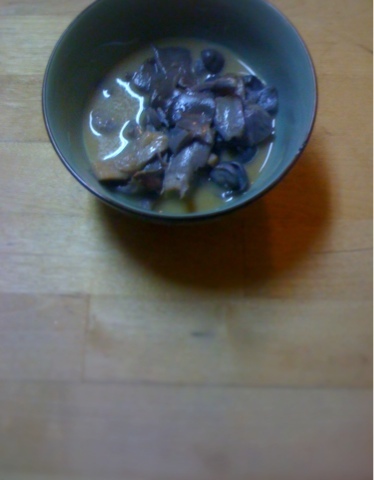 The mushrooms themselves are divinely flavourful. A simple zen treat.